Forum Home > 7Axx General Discussion Area > Most collectors don't go for 'Dressy' 7Axx's - Why ? 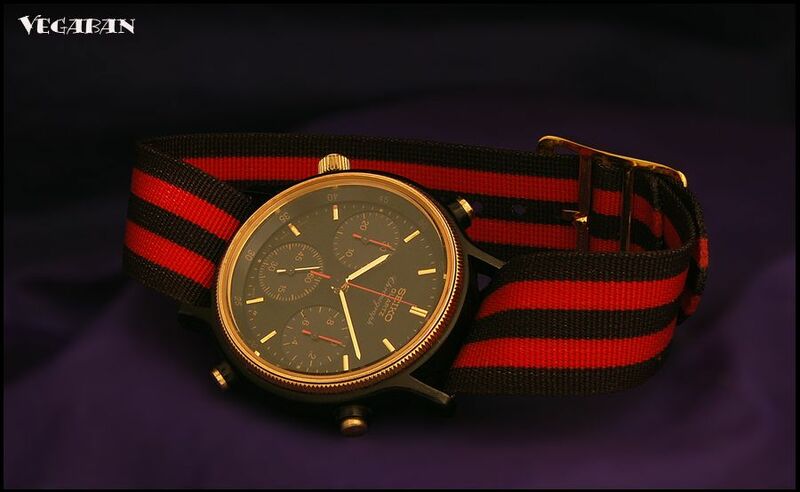 Being a dyed-in the-wool 7A38 collector, this watch, being a rather dressy 7A28 wouldn't normally even raise a flicker of interest. 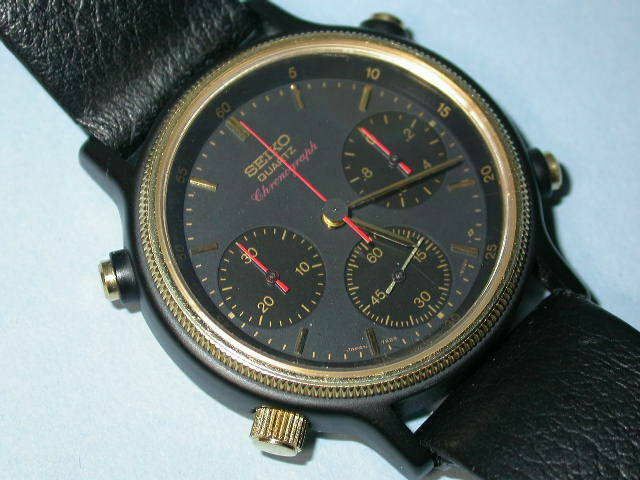 Bellissimo e raro seiko quartz chronograph mod. 7A28-6050 color oro, da me personalmente acquistato nel 1984. Perfettamente funzionante, tutti i pulsanti attivi. Fondello a vite, vetro minerale. Usato pochissimo nonostante l'età. Presenta un piccolissimo segno sulla corona che non influisce assolutamente sulla funzionalità. Water resistant. Cinturino in vero coccodrillo (non originale), con fibbia (non originale) dorata. Sul fondello: AD 1009 7A28-6050. L'orologio è quello riprodotto in foto. Non chiedete altre foto, non ne ho. It's languished for some time (note photo date), with an opening bid price of 65 Euros or a Buy-it-Now of 70 Euros - and still no takers. Yet in my limited experience of 7A28's, I believe this version of the 7A28-6050, with it's Breguet-style numbered white dial is quite rare. 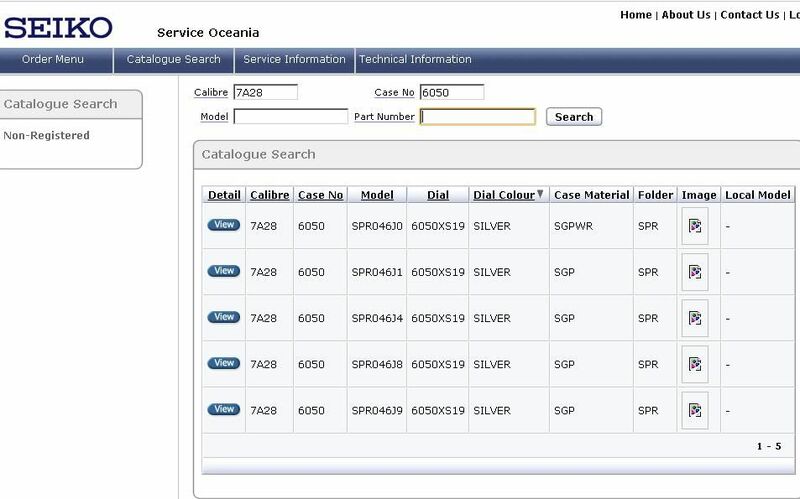 Seiko's Oceania database only shows one version of 7A28-6050, the SPR046J, which is presumably that Roman numeral version. I suspect, as the seller is Italian, like my rare gold-tone 7A38-706A and Manuel's 7A38-706B, this may well be an Italian market model. Somebody do the decent thing, and buy it soon, please. I'm sure Mark could find room for one more 7A28. Somebody do the decent thing, and buy it soon, please. 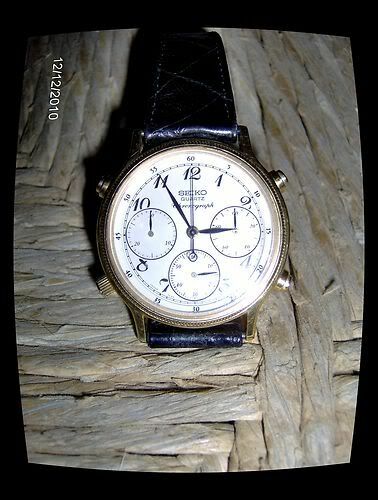 And that's what it sold for, 7 days later on 22nd March - 53.00 Euros. 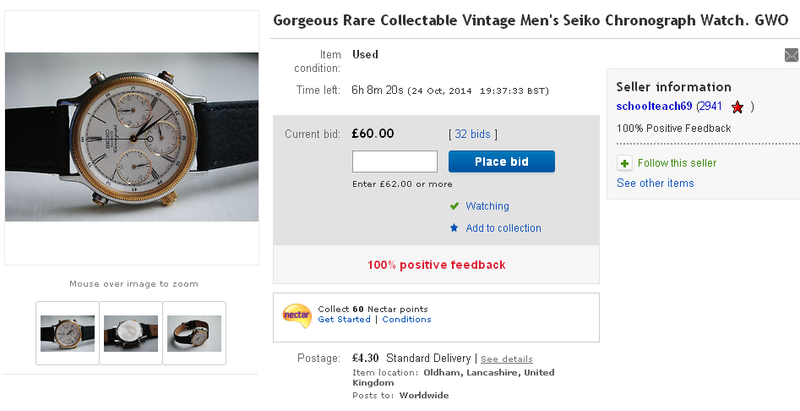 I looked at that one a few times, perplexed as to why it didn't sell at its BIN price. It was a nice piece and I totally agree, pretty scarce. One presumes the general anti-dress watch prejudice remains. Is there an equivalent 7A38? Not a direct equivalent, as such. The closest (in terms of 'dressiness') would be the gold-tone white-faced 7A38-706A and 7A38-7260. There was a sub-range of 7A48's (e.g. 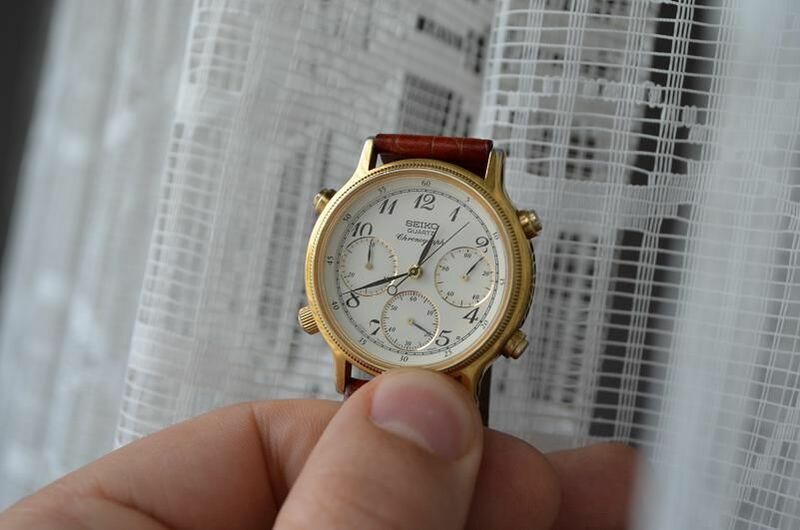 the 7A48-7040) which used a similar fluted bezel case, and indeed many elements of that 7A28-6050 design can also be found in the various dressy gold-plated Yema N8's. But otherwise No. Parts of the seller's description sounded vaguely familiar, and showed he'd done a little online research. 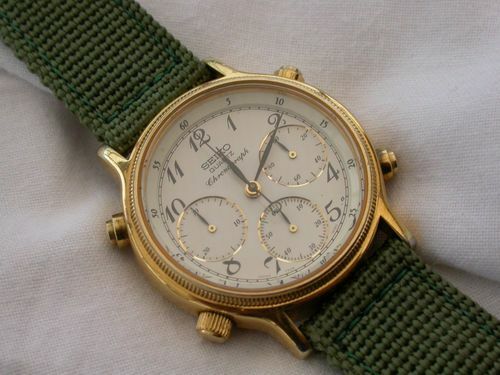 I believe this version of the 7A28-6050 A4, with it's Breguet-style numbered white dial is quite rare, possibly originally only available to the Italian market in the early/mid 80's, a must for any serious 7A28 collector, fitted with a short Pulsar green fabric strap I will include the strap which was on the watch when I bought it many years ago, I think it is imitation snake-skin or similar... fitted with a new battery only this week the pushers all function correctly and the watch is keeping perfect time as you would expect from a 7A28... the crystal has a few minor touches to the edges but otherwise no serious marks, the caseback has a couple of light marks once again nothing serious. No reserve and post by Royal mail first class unless requested otherwise. Good luck. It sold around lunchtime today for £58.00, after 14 bids, going to that man again ! 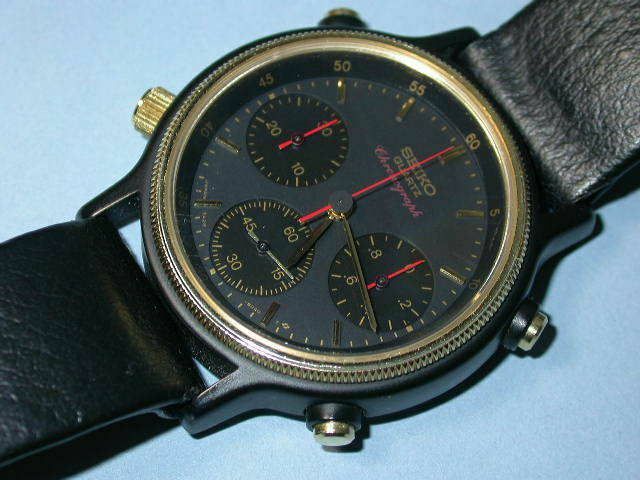 There was another very similar looking dressy 7A28 (presumably using the same basic watch case) on eBay recently. As most of you probably already know, I'm not a big fan of NATO straps, but that one struck me as a nice match (colour if not 'style'). The bottom one is a pretty rare 7Axx - a 7A28-6040 if I'm not mistaken. Would probably even look better on black leather with red stitching. IMHO. I was going to mention the 7A28-6040 in this thread, but when it was first listed on eBay in the States, back in May, the Buy-It-Now asking price was a rather wishful $199.99. It didn't sell, so quite illogically, the seller re-listed it with a higher B-I-N price of $300. I had it on my eBay watching page, but it seemed to have dropped off - so I'd presumed it had ended, waiting to be re-listed yet again. But then I noticed someone had made the seller a cheeky lower offer - $150, and it had been accepted. A member of this forum, if I'm not mistaken. http://www.ceasornicar.ro/forum/viewtopic.php?f=28&t=23531 with some more photos of a nice-looking example of a 7A28-6050. Seeing as the OP 'Radupi' gave our forum a couple of plugs, I thought it was the least I could do to return the favour. Well maybe there is more interest in these dressy 7A28's than I'd imagined. According to eBay, 85 people (including myself) are watching this one ! That's not a bad result for a dressy little 7A28. Sold for £108 - there were even 4 snipe bids placed in the last 10 seconds ! My point of view is that this style of watch harps back to mechanical watches too much. I do not like the look of this watch at all and I prefer 28's to 38's (sorry Paul). These watches killed the swiss watch industry virtually overnight, strangely enough I quite like that this happened. It's unavoidable change. 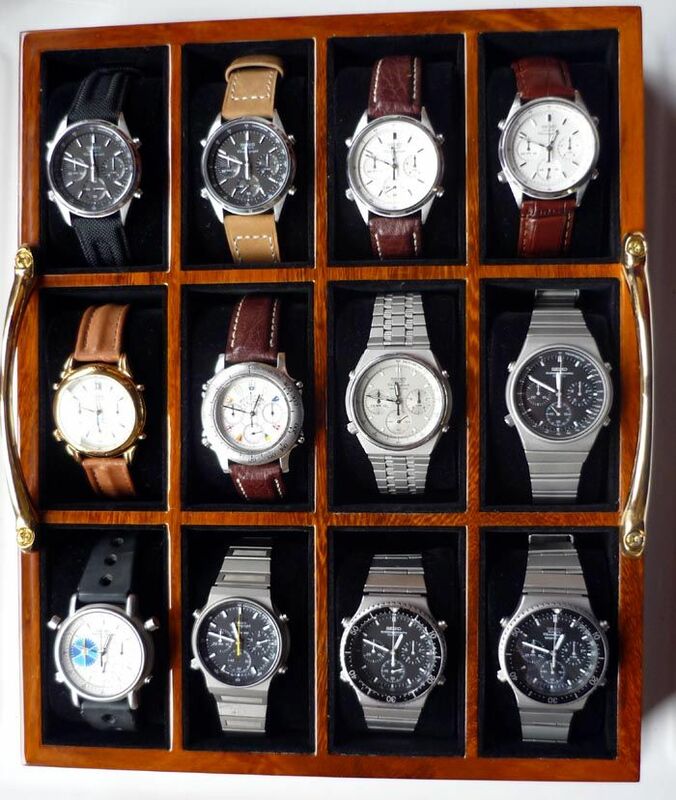 I love my mechanical Breitlings from the 60's I love my mechanicle Seiko's from the 70's. My quartz analogue Seikos from the 80's capture both these eras in their many different ways, but these, to me go back to far in the past, maybe they will become iconic in the future maybe not, but they don't float my boat. Horses for courses.